Gregg Mitman (Co-editor), Kelley Wilder (Co-editor). 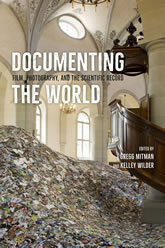 Documenting the World: Film, Photography, and the Scientific Record. University of Chicago Press, 2016.